We’ve decided to assist you a bit and describe in a nutshell the use of dlvr.it and benefits it can bring to your Shorte.st experience. Are you ready? Let’s get started then. 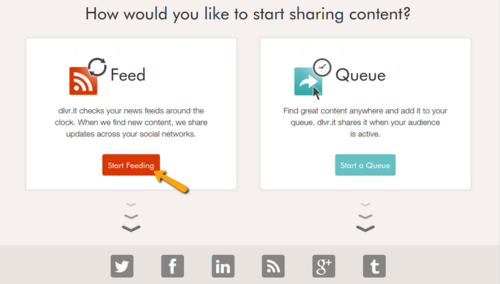 At present, people very often use RSS readers to receive faster the content they’re interested in. 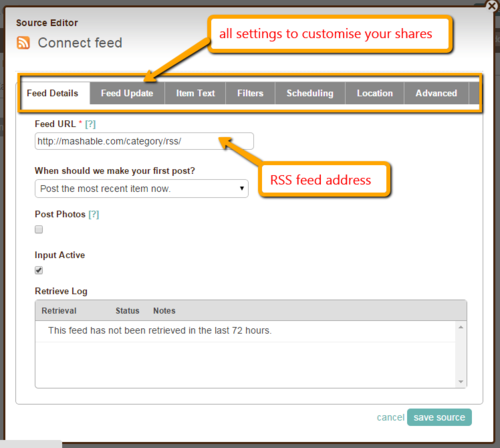 The aim of RSS readers in a few words is to give RSS feed data to users. Web surfers respect their time and don’t want to lose it by visiting each site they like separately. Having RSS reader enables them to get all desired content in one place. 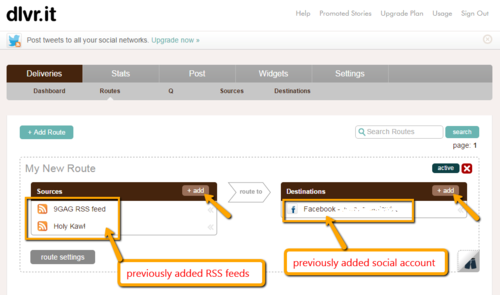 Is RSS feed a must? What’s Shorte.st got to do with it? Once we have RSS feed and RSS reader, it doesn’t come as a surprise that having seen or read something you’re fond of you’d like to share it with friends on your social media channels. Here’s where dlvr.it enters. 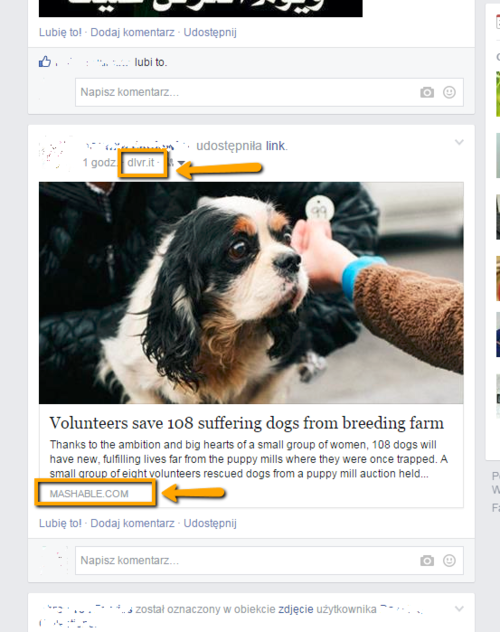 Instead of posting about new entries from your favourite websites manually, dlvr.it will do it for you. Whereas shorte.st will shorten the links on the way and make sure that your shares will be monetized and will increase your income. How do I do that with dlvr.it? Go to dlvr.it and register. Do it as you wish, with Facebook, Twitter, or in a traditional way by providing your email address. 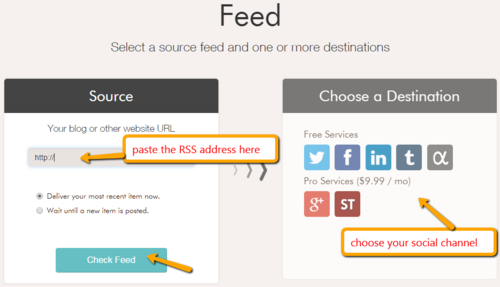 Find RSS feed address of the site whose content you wish to share (you can google it), and add it by clicking the “+ add” button. Adding a social account works the same way. Please look at the printscreens below for guidance. Dlvr.it can be customised easily to adjust to your and your visitors’ needs. So, if you’ve added the RSS feed, set it up, and added a social account, you can now click the “save source” button in the bottom right corner of the window. Dlvr.it and shorte.st working together save a lot of your time and make you earn more money. You can customise your shares to Facebook, G+ or Twitter so that there’s only one share per day or even 10 shares every half an hour. The more you share, the more you earn, but remember to think about your friends and their patience if you choose to share big amounts of content. Is your website mobile-friendly? Google update is coming!